The Dogwood Lodge offers the finest in accommodations for your leisure or business desires. Two open decks provide space to relax and absorb the magnificent surroundings. The Dogwood Lodge will be opening September 2015. We are currently undergoing extensive renovations and upgrades and will post photos when complete. Located in southeast Louisiana, we are a lodge offering a blend of first class accommodations, memorable cuisine of southern cooking and true hospitality that makes our guests feel like VIPs while remembering the reason you’re here is for our exceptional fishing and hunting. We can customize and manage all aspects of a successful outdoor adventure for individuals, family or corporate groups. The Dogwood is a historical vessel that was originally built for the US Coast Guard as buoy tender on the upper MS. River. It was later purchased by a cruise company and converted into a multiday vessel for river cruises. The Dogwood Lodge is located past the end of the world marina also known as the Breton Sound Marina in Hopedale, Louisiana in the Biloxi Marsh. Hopedale is located an easy 45 minute drive southeast of New Orleans, and is on the edge of the Mississippi River Gulf Outlet. This location offers easy access to the great inshore fishing for redfish, speckled trout and many other species as well as exceptional duck hunting. This area also offers exceptional fly fishing opportunities for trophy redfish due to the clarity of the water and endless wild marshes. The Lodge features a lounge area known as the Mississippi Room on the second deck with comfortable seating and wide screen TV to reminisce about the day’s adventures. We offer a complimentary bar as well as a outdoor seating to enjoy your morning coffee or evening libation and cigar. This room can also serve as a conference room for business meetings or seminars as needed. 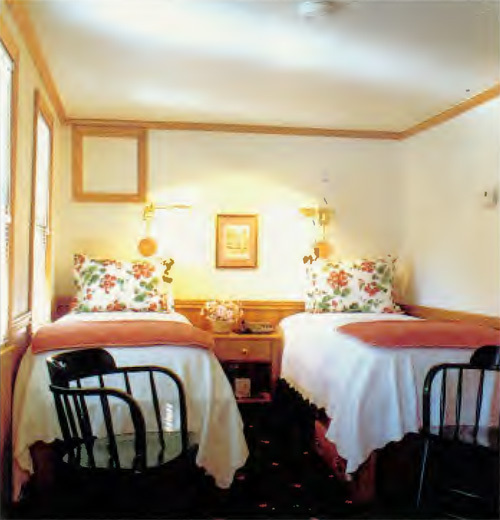 The Lodge offers 6 private rooms with 2 twin beds per room and each room has a private bath. The rooms are named after the rivers she has traversed throughout her past: Red, White, Arkansas, Tennessee, Ouachita and Kanawha. The dining room, appropriately named the Ohio Room, seats twelve for meals and can easily convert into a meeting room for corporate retreats and training sessions. The Dogwood Lodge is located in Hopedale, LA. 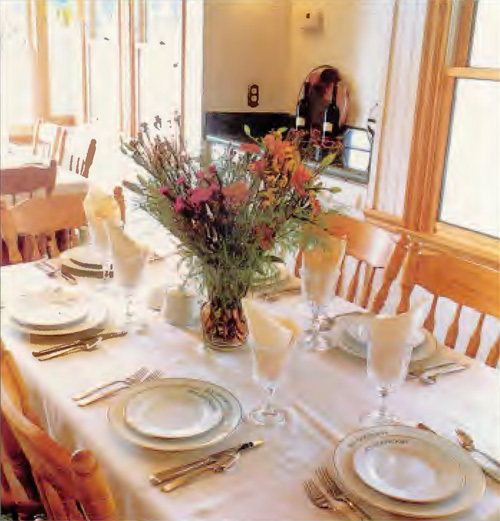 Complimentary breakfast, lunch, dinner and bar while on the Lodge. The rate is $215 a night per person and rooms are reserved on a first come first served basis. Single occupancy is $300/night. Check in is 3 pm and check out is at 11 am (if you are fishing on departure day, bags must be packed and we will hold them for you until you return) Inshore guided conventional fishing trips for up to 3 anglers are $800/day ($900/day for 4 anglers) and include fuel, ice. bait, tackle and fish cleaning. Inshore guided fly fishing trip for up to 2 anglers is $750/day and includes fuel, ice, and tackle. We can also arrange duck hunting during the season, custom kayak and bow fishing trips or you can book your own guides or bring your own boat and tie alongside while staying with us on the Lodge. All boats pick you up and drop you off at the Lodge. We furnish lunch and bottled water and soft drinks to go for you on the boats; however, you will need to bring or get any alcoholic beverages to take on the boats from the marina store if desired. Bring your own ice chest for holding and transport fish back with you if you desire. There is a 50% of cost deposit to book with the balance due at the Lodge. 6% sales tax will be added to the lodging portion and a 4% upcharge should you desire to use a credit card. Charter Fishing licenses are $10 for 3 days.